I recently traveled with ten undergraduate students to the Conference on Faith and History (CFH) held at Calvin College, Grand Rapids Michigan. This was an exciting and enriching trip for our students. They, along with other history students from across the country, presented research papers at the undergraduate portion of the conference. For the past fifteen years I have attended this conference both as a presenter and panel chair. 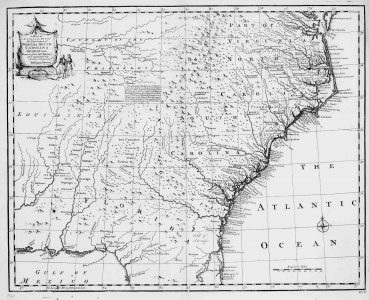 The CFH provides important opportunities for Christian historians and students to interact and fellowship around a common faith and academic discipline. I hope to continue my relationship with this organization. I have noticed a progressive even leftist trajectory in the CFH for some time now. This has never concerned me that much since I have always believed that Christian academics of all stripes can learn from each other and get along. Who wants to live in a world where we all agree? At this year’s undergraduate conference, however, I did find myself a little concerned. Some of the things espoused were not just run-of-the-mill progressive ideals, they were quite radical, and, to my mind, represented a fundamental alteration of basic interpretive principles once assumed in the historical discipline. In the plenary session for the undergraduates, Jemar Tisby, a scholar and social justice blogger trained in both theology and history, spoke on “History as Activism: Knowing the Past to Change the Present.” Tisby had many good and pertinent things to say. For example, he noted the importance of activists learning history in order to contextualize what they are actually protesting. I especially appreciated how he called attention to the vastly lopsided incarceration rates of blacks to whites in America’s prisons, and how a more careful understanding of history could give context to why this problem exists. Where Tisby’s talk went off the rails, in my view, was not on the track of understanding and context but on his insistence that history itself should be used as a tool to correct today’s social ills. Confederate monuments, kneeling during the national anthem, the #MeToo movement, Black Lives Matter—we live in an age of protest and reform. College students often stand at the forefront of these movements by lending their energy, passion, and creativity to virtuous causes. But the problems of today arise from circumstances in the past. Today’s activists must pursue a deep knowledge of this nation’s history, especially as it relates to race and justice, in order to change the present and the future for the better. One should note carefully what is said here. This statement makes an automatic assumption that protesting Confederate monuments, kneeling at football games, and endorsing #MeToo and Black Lives Matter are all equally “virtuous causes.” The problem is that historical investigation and interpretation cannot authoritatively breach into the sphere of such value-laden assumptions. Ethicists or theologians may well connect these issues to their respective disciplines, but not so much the historian. History answers the whats and whys, it does not readily answer the oughts. If Tisby and others want to be activists for causes they believe in, more power to them. I appreciate Christians who intelligently apply their heart-felt convictions toward issues that matter. But is activism part of the historian’s craft? It is one thing to be an activist. It is altogether another thing to co-opt the past to correct the present. In the Q & A after Tisby’s talk, a perceptive attendee wanted to know how one could claim historical objectivity while espousing activism as a goal for the academic historian. Tisby responded rightly that there is no such thing as bias free history, but unfortunately did not go the next step and insist that the historian must at least try to keep biases in check. How could he when the whole point of his talk was to use history as an activist tool for social justice? I teach a senior capstone course for history majors. 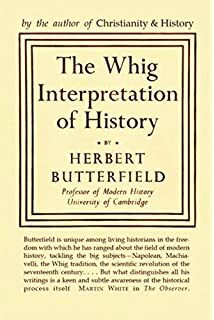 In that class I require students to read the classic work by Sir Herbert Butterfield, The Whig Interpretation of History (1931). Butterfield does not pretend that the historian is free from all bias. When discussing this work with students I remind them that everyone is biased, and as Christians we must be especially cautious since we hold a faith that claims assurance about the end of time. If not careful, we will misapply the past because we are so certain of the future. The historical discipline is limited in what it can do, but in that limitation lies its wonderful uniqueness. To go beyond history’s limitations is to neuter its power and purpose. History is not a straight and simple line that one can follow toward a preconceived end. It is rather, Butterfield said, a complicated “labyrinthine network” that calls for careful and—as much as possible—objective investigation. The historian’s task is to make sense of past complexity and then draw appropriate relevance, not to over-simplify and dramatize it for presentist purposes. To do that is to cheapen history. Butterfield also warned against using history to make overt moral judgments. This does not mean that the historian ignores evil or good in history. What Butterfield understood though was that the passion to make moral judgments will more-often-than-not push the historian to “find a shorter cut to whatever purpose he is working for.” History is not a banner one can or carry toward a goal, nor is it a club to bludgeon evil actors present or past. To suggest that the study of history can somehow be used as a form of social justice activism is to cloud its very purpose, namely discovering and understanding the past on its own terms. History is about knowing the past, not as we want it to be, but as it was, not for setting things right today, but for finding out why and what happened yesterday. When history is rightly written and taught, it does not need our assistance to make it relevant. If, as historian John Lukacs noted, “the past is all we know,” then history’s importance and relevance will speak for itself, all without our whiggish help. What About “Whataboutism”? Or, Are you a Russian Spy? Is Gun Control a Spiritual Mandate?